A combination of planning, persistence, insomnia and luck put a rare one in the log. “They are going to be tough,” I said. “I can’t even hear them” my neighbor, George Scott, WAØFSE, replied. Chesterfield Island, TX3A, was activated by the dynamic duo of George Wallner, AA7JV, and Tomi Pekarik, HA7RY. I scratched out one contact with them on Mellish Reef (VK9GMW) but the chatter about this one had it being even tougher. They had been on for a week and George said he heard the pileups but not them. You see, this was November of 2009 and we were in a sunspot minimum. So, not only did I have to face the pileups, I also had limited opportunities to even try. Also, I was 20+ years away from retirement so my work schedule also limited my chances. Adding Chesterfield was going to be a challenge. I decided to take 2 days off and create a 4 day weekend. By then, I guessed the pileups would be smaller and easier to get through. 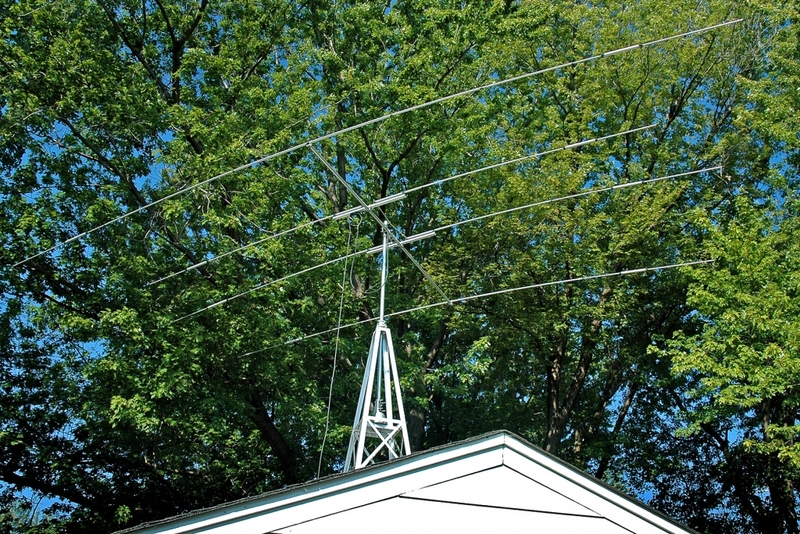 I do not have a “big gun” station only 100 W, a roof-mounted beam and ground-mounted verticals. Living on a suburban lot of Minneapolis, Minnesota, 200 foot towers with stacked-arrays are not possible. Despite a relatively modest station, my success rate into the Pacific was very good. Every DXCC entity I had heard from there was confirmed (40 out of the 60 total Oceania entities). This included working K4M on Midway on five bands the previous month. The difference was that most of my tally had not been through large pileups, so this would be a new challenge. Using daily data from the DX clusters, I created homemade spotting sheets to help guide me for the best times to get TX3A. The key for me was to be there before the pileups began. It was also ARRL Sweepstakes weekend, so I guessed (hoped) that a lot of competition would be elsewhere. They should be — right? Following my game plan, I heard TX3A on 30 meter CW on the first day of my 4 day “TX3A vacation.” Their signal started out weak, but improved with time becoming perfectly Q5. That was the good news. The bad news was my “hope” about the pileups was wrong. Sweepstakes wasn’t keeping many away and the limited window of opportunity that I faced also affected others who needed Chesterfield. In addition, the North and South American continents were not the only ones interested in TX3A. European, Asian, African and Oceania DXers were also champing at the bit to get their calls in the log. During my first 3 days, Europe seemed to have the best path, so TX3A gave them some priority. Although frustrating, I understand “the DX calls the shots rule” and given the skill of George and Tomi, if they felt a certain area should be favored, then so be it. After a long while and a large group of contacts, TX3A moved to 17 meters. For whatever reason, I couldn’t hear him there. Kind of surprising 15 meters was open but 17 meters was not. Dejected, I worked Sweepstakes and picked up some new WAS band slots. I also had a fine 40 meter chat with Sebastian Wessels, NSØW, in Colorado, but didn’t meet my DX goal. My “TX3A vacation” was over and Chesterfield was not in my log. Work was the next day at 7:30 AM. So, to bed I went, feeling rather empty. I have Restless Legs Syndrome (RLS). Those familiar with that sleep disorder know it can have you tossing and turning for hours and hours. I keep an ICOM 706MKIIG at my bedside, as I like to listen to either Amateur Radio or shortwave stations as I fall asleep or to pass the time if RLS keeps me awake. Well, my RLS kicked in Sunday night into Monday morning. Perfect. Not only am I bummed about not getting TX3A, now I cannot sleep. So I turned my bedside radio on. After listening to some stateside 80 meter contacts, I decide to have a try at sleep again around 1:46 AM. Before I shut the rig down, I decide it’s a good idea to tune across 40 meter CW. I set up on the frequency that TX3A has been hanging out on (based on my spotting sheets). That way if I hear him when my alarm goes off for work, and have time, I can have a shot at him. As I tune to 7.024 MHz, I hear some rather fast code, calling CQ, nice clean and clear. Is that what I think it is? What? No. It can’t be. "CQ CQ TX3A TX3A UP"
It’s TX3A! For crying out loud, he’s here, right now, all alone and begging! GO! But, oh my gosh, my bedroom radio has no CW paddle! I leap out of bed. Wearing nothing but underwear and a worried look, I dash down the hall to the radio room. My memories of getting there early on Saturday and getting crushed are flying through my head as I’m flying down the hall. Thunk. The Astron power supply surged to life and with a click, the 10 second calibration warm-up for my ICOM 756PROIII was underway. It took forever, I swear. The only thing missing was Chris Berman from ESPN bellowing “tick...tick-tick-tick-tick-tick...tick.” to indicate time was running out! What? Did that just happen? It couldn’t have! I spent hours sending WXØV with no luck. How could I get him with one try? Are you kidding me? Um, uh — did he get my call okay? "WXØV, a brief pause, then OK?" "WXØV 5NN UR OK TU," followed by my still nervous "TU"
No competition, no pileup, no lids, no cops, no jammers, no fading, just TX3A and me. TX3A kept sending CQ with few if any responses. I even made an audio recording of it with my PROIII. Then a very large JA wall rapidly developed (I saw later he had been spotted on the DX cluster). I would have had no chance with that in place. Sleep was now impossible with both RLS and a surge of adrenaline on tap, so I listened to him expertly work the pileup. Gosh, he was good operator. 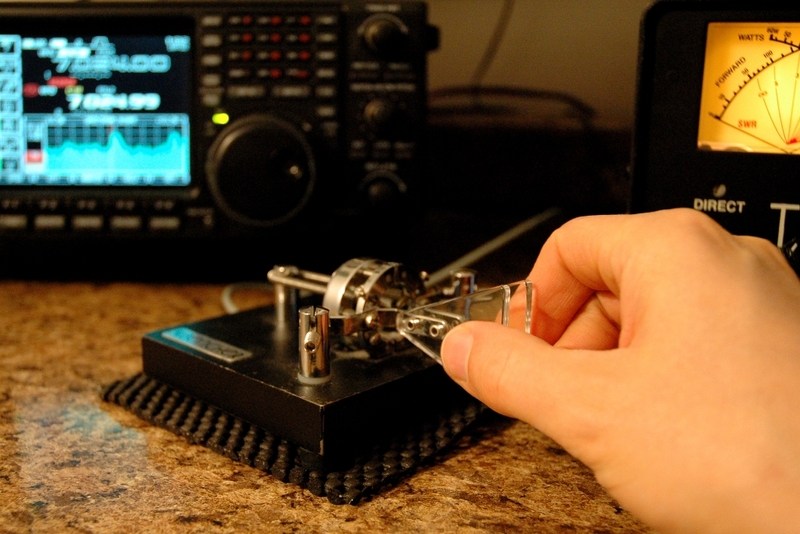 I’ve heard that one of the best sounds in ham radio is the sound of a pileup after you got ’em. I agree. George and Tomi used the ARRL’s Logbook of The World (LoTW) and were uploading their contacts rapidly. Within a day or so, my contact was confirmed — wow. So, when I did my month-end LoTW upload, there it was. I love LoTW but since this was such a special contact, I wanted some paper. That was the only time I worked TX3A. I heard them again on 15 meters, but not as strong as previously. I tried there and on 20 meters with no success before they left the island. It didn’t matter; I had a new one. I offer my thanks to George and Tomi for a job very well done. This isn’t some “look how great I am” story, but it does say that sometimes a good thing can happen from a bad thing, just by plain, dumb luck (in this case, my RLS). I see two teachable moments here. First, as my dad, Dave Woelm, WØELM (yep, his call sign is our last name) tells me: “just keep at it, you’ll get them.” So, persistence, persistence, persistence. Next, just keep spinning that big knob on the radio (echoed to me by Steve Root, KØSR, DXCC Honor Roll). It might deliver an exclusive meeting with a great DX catch like TX3A. To learn more about the 2009 TX3A DXpedition go to www.TX3A.com. Scott Woelm, WXØV, an ARRL member, was licensed in 1979 at the age of 14. Scott has authored multiple Internet articles on DXing, including ...and the Weak Shall Inherit the DX and Touch that Dial! These are DXing stories from actual contacts Scott has made. He writes these stories from the viewpoint of someone climbing the ladder versus the king of the hill. 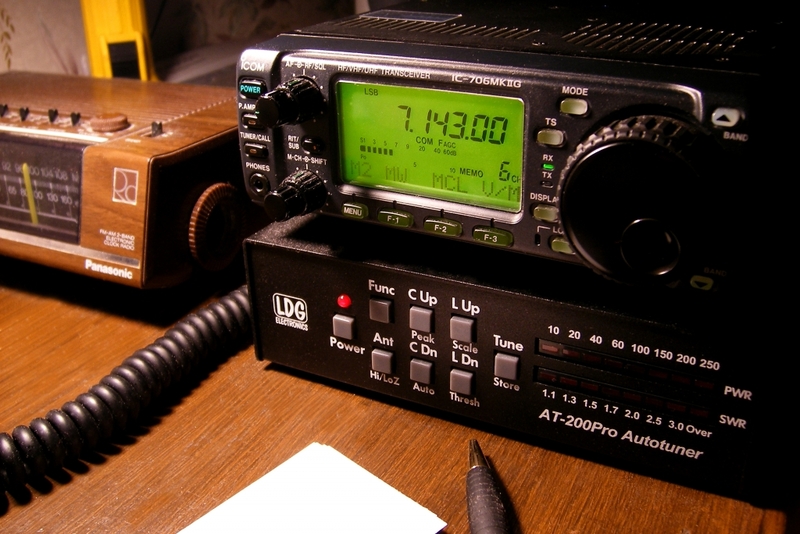 Scott hopes those working on their DXing awards can learn from his experiences on the air. You can find Scott’s articles at his QRZ.com biography page. Scott’s DX heroes are his father, Dave Woelm, WØELM, Steve Root, KØSR and Mark Schiefelbein, KØABC. Scott can be reached at 7550 Able Street NE, Fridley, MN 55432-3414, scottw@metrommp.com.